Until recently, we looked at our Printers with a bit of contempt. We appreciated their service insofar as printing documents and photographs, but we also loathed their guzzling consumption of expensive ink and paper. The concept of the efficient and eco-friendly paperless office has been with us for a few years now, and thus printers eventually became an impediment to this ideal. So today we decided to show our readers the Top Five (5) Best Examples of Products Printed with 3D Printers so that you can learn from it and get motivation. The new trend in printing is not limited to ink and paper; 3D Printing uses compounds to create shapes and objects that come from blueprints created on computer software applications. 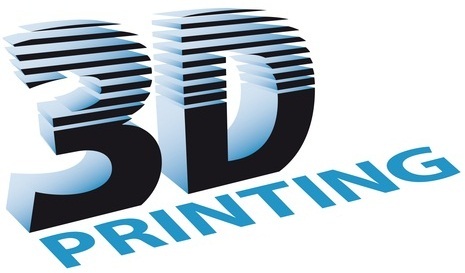 Now that 3-D printing is entering the home realm thanks to retailers such as Staples offering special printers in their American stores, we are only limited by our creativity. This truly revolutionary car can be assembled from 40 pieces of 3-D printed thermoplastic and weighs just 1,200 pounds. The Urbee's designer and manufacturer, Kor Ecologic, works with a major 3-D printing facility to complete one car in 2,500 hours. The Urbee 2 uses just a fraction of the nuts, bolts and connecting brackets usually required in traditional sheet-metal and steel vehicle chassis. The field of biomedical design and manufacturing stands to benefit tremendously from 3-D printing. The production of artificial limbs could soon take place in a 3-D printing facility. Modern prostheses are already pretty advanced, but they are also complicated to manufacture. By using 3-D printing Technology, prosthetic device manufacturers can quickly produce artificial limbs to fit a patient's anatomy until a functional prosthesis is produced. Until recently, many engineers and inventors with great ideas used to hit a snag when it came time for prototyping. Producing a suitable prototype used to be a time-consuming effort that often required a third-party firm to become involved in the process. Once 3-D printing started to become more accessible, engineers and inventors welcomed the opportunity to print their own prototypes and test their ideas. Although 3-D printing does not utilize precious metals, custom jewelry can be designed with computer-aided design (CAD) software before it is printed using special polymer materials. The result is a 3-D printout of a jewelry piece in wax, which is later covered in molten metal before it is finished and polished by a skilled jewelry maker. This process has the potential to empower those people who are interested in designing their own custom jewelry as long as they are also willing to spend time learning to operate CAD software. After prototyping, the most common use for 3-D printers is to produce models for many purposes. Architects and forensic specialists are already making use of 3-D Printing Technology for their models. Other fields that will make use of 3-D printed models include mechanical and civil engineering, interior design, urban planning, and the military.